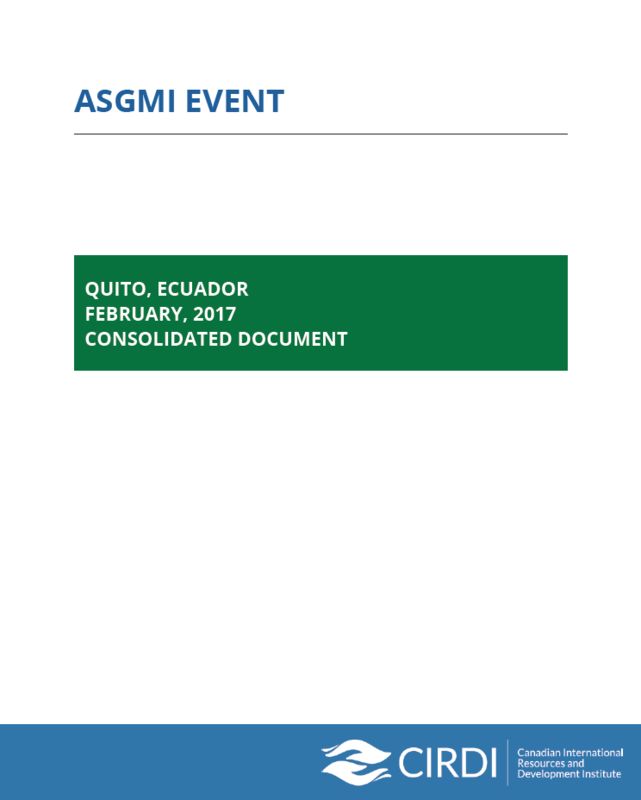 On 25 April 2017, the National Institute of Geological Research Mining Metallurgical Ecuador (INIGEMM), the Association of Service of Geology and Mining Iberoamericanos (ASGMI), the Canadian Institute of Resources and International Development (ICSID), and the Canadian Embassy in Ecuador organized a three-day event in Quito, Ecuador. The event brought together representatives of Latin American geological surveys from 17 different countries to discuss issues related to environmental, social and economic conflict related to the ASM countries. The objectives of the event were to: create better understanding among participants on issues surrounding the determinants of conflict in artisanal and small-scale mining, study viable alternatives for geological institutions to support the mitigation of conflicts with ASM through discussion, identify what role geological institutions should have in this context, including the resources required as an institution to maintain this role, and use information collected to provide information on the next steps to address the mitigation of environmental degradation and conflict in the ASM.